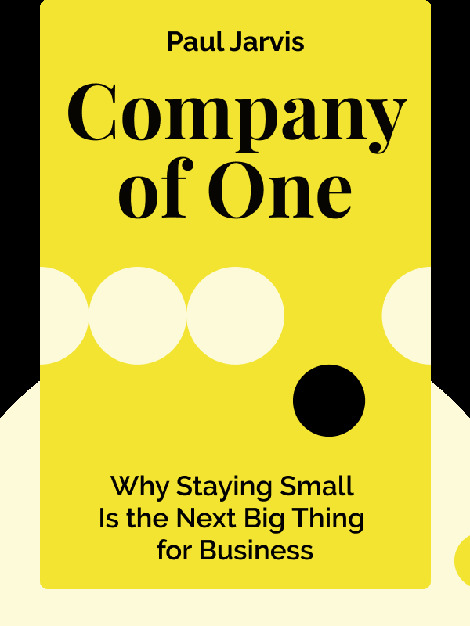 Company of One (2019) presents an alternative philosophy of business success – one that turns conventional wisdom on its head by prizing less over more, small over large and niche over mass. In the course of laying out this philosophy, it also provides practical strategies for developing your own small-scale business enterprise – one that can provide you with enough free time, independence and income to live the life you want to live. 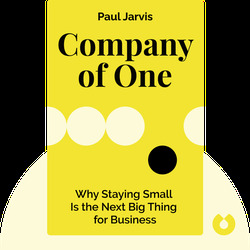 Paul Jarvis is a web designer, writer, educator and entrepreneur who has been working for himself for about 20 years. His past clients include Microsoft, Mercedes-Benz and Warner Music. His writing and ideas have been published and profiled in magazines and outlets such as WIRED, Vice, Fast Company and USA Today.